Thanks to the folks over at Verizon Wireless, Skatter Tech received a review unit of the Palm Pre Plus about a week ago and I’ve been putting it to the test since. It’s an upgrade to last year’s Palm Pre, which is still offered on Sprint’s network. 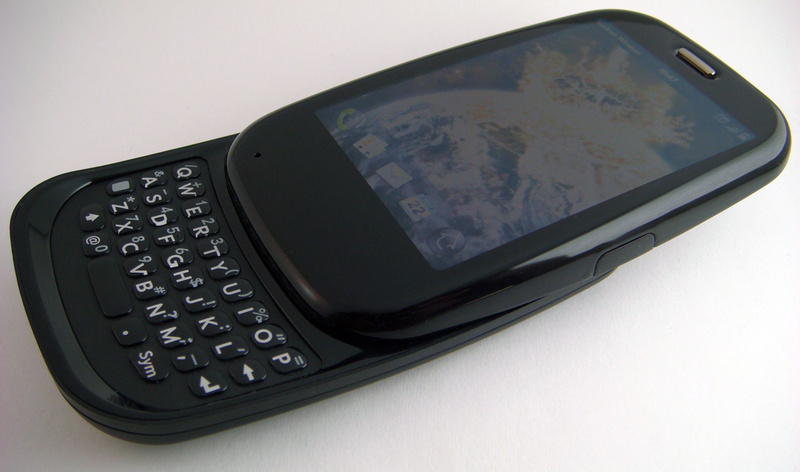 It’s Palm’s third webOS device and just it sports just about all exciting features: Synergy, multi-tasking, a full QWERTY keyboard, and a gesture area. As a bonus, it features the ability to create a “WiFi Hotspot” utilizing Verizon’s 3G network, much like the MiFi we reviewed recently. With some new features, a new network, a hardware upgrade, and a slight cosmetic makeover, let’s see how it compares to other smartphones on the market. Palm made one major cosmetic change to the Pre, they removed the physical touch button and replaced it with a touchpad that’s hidden under the casing. It now looks cleaner and simpler. It, however, almost feels as though they forgot to put something on it. This gesture area is a thin touch-sensitive slit between the display and keyboard. It’s unique and makes using the phone much more intuitive. For example, to move back a page in the browser, just do a quick swipe to the left. The pad illuminates the direction you swiped with a neat little animation. To get back to the home screen, just swipe up. The Pre Plus also lights up the gesture area to indicate that the phone is busy performing a task. It’s definitely a more intuitive take on the simple physical home key that’s prominently featured on the Apple iPhone. It’s a lot more convenient than having to double or triple tap to perform commands. The Palm Pre Plus’s display looks stunning. The screen seems to reach out at you due to the curvature of the body. It doesn’t appear recessed into the body like the iPhone but rather runs edge-to-edge. 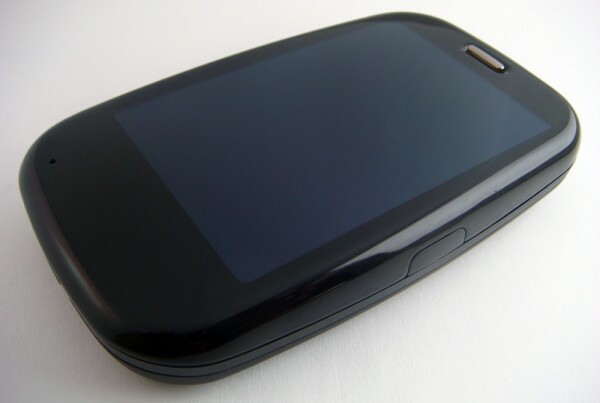 The 3.1 inch display is about a half-inch larger than the screen on the Palm Pixi, but still smaller than the Droid and iPhone. The interface offer plenty of space for viewing web pages. It’s still unfortunately nothing compared to the Motorola Droid’s whopping 480×854 pixel display. While the Pixi we reviewed last year only had 18-bits of color, the Pre Plus features 24-bits. Despite the boost, I doubt anyone could point out the difference unless told about it. The multi-touch functionality performed accurately and responsively. It was easy to pinch a webpage with two fingers to zoom out or in. 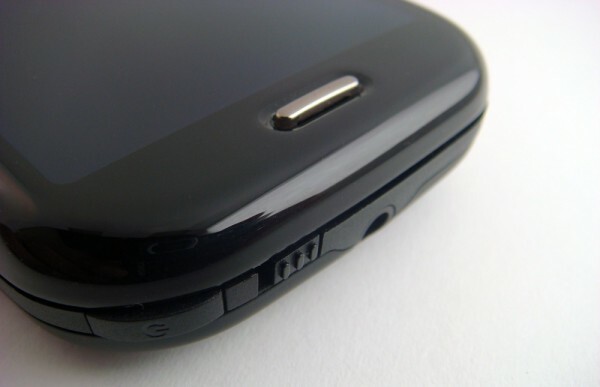 The accelerometer was also very responsive and would kick in quickly to change orientations when rotated. The gesture pad also conveniently changed from the page navigating mode to scrolling. The Sprint Palm Pixi, on the other hand, rarely rotated properly. I should point out that since this phone doesn’t feature an on-screen keyboard, you’ll have to switch back to portrait mode to type. I was also worried that the glossy finish would make reading the screen difficult in direct sunlight or under bright lights, however the ambient light sensor brightens everything up enough so that it’s not much of a problem. When I first saw the Pre Plus, I expected a comfortable keyboard especially since it’s a fairly premium device. However, after a few days of use, I have to say otherwise. Although the four rows of keys are decently sized and spaced out, the keyboard lacks the same tactile feel the Pixi’s keyboard offers. The buttons almost seem sticky and I had a surprisingly difficult time getting accustomed to it. The keys are too flat and don’t offer enough of a click when pressed. 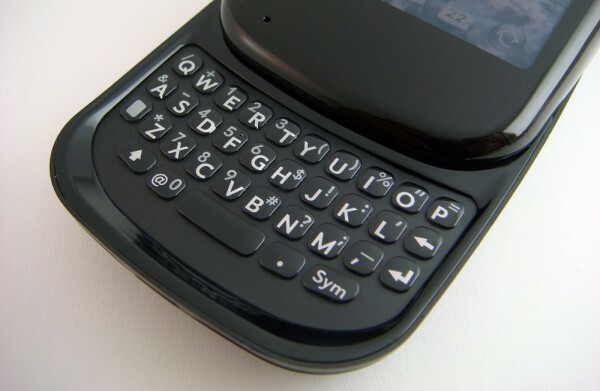 Typing messages on the Pre Plus took longer than it did on the Pixi. I had to exert more pressure on each key and take time to ensure an accepted input. It isn’t necessarily hard to type messages, but takes more getting used to than with other phones. It also would have helped if the phone featured a decent virtual auto-correction tool as found on the iPhone and Droid. I feel that Palm should consider revamping or entirely redesigning the keyboard on a future iteration. It’s an essential part of the phone and it’s currently lacking. There’s one way to explain Synergy: WOW. It’s just that awesome. The Palm Pre’s webOS offers a single central interface to pull information in from a variety of accounts. These include Google Sync, Facebook, Microsoft Exchange, LinkedIn, and Yahoo. After a single login, my Calendars, Contacts, and Emails started pouring in. I definitely recommend syncing over a fast WiFi connection the first time. Instead of creating havoc with a mess of duplicate contacts and data, the Synergy technology handles it quite well. It merges duplicate contacts without destroying your data. For instance, if you have “Jon Doe” on both Facebook and LinkedIn, it will create a merged contact card. If you happen to make any changes to your contacts, updates are automatically relayed to the server. I was truly glad to see that just about all my Facebook contacts appeared along with profile photos, email addresses, and phone numbers. This was by far the easiest and most convenient way to fetch data. If most of your data is already in the ‘Cloud,’ there no reason to have to deal with manually re-entering data, Bluetooth sync, CSV sheets, or VCards. The next step would be to make this feature more powerful. Adding support for more popular web services and offering a clean way to manually select which contacts to sync would go a long way. Palm has an edge over competitors in this segment and needs to keep running with features like these. As for messaging, both the webOS is great. All my emails were setup for delivery with Synergy’s magic. It has great support for Gmail folders and features. When an email arrives, the phone alerts the user with a popup and a notification icon at the bottom of the screen. The same row displays alerts for texts, missed calls, voicemails, calendar appointments, alarms, and more. To dismiss an alert, you can either slide it off to the side to acknowledge that you’ve seen it or click on it to open the respective application. Composing and reply to emails and texts was an easy task. The conversation logs are neatly organized as well. The option to forward items often comes in handy. Copy and paste saves the hassle and time of having to remember and retype things. The only thing that would have improved the experience would have been a better predictive text tool and spell checker that will both speed up typing and correct typos. The Palm Pre performs on par with most smarphone devices. It wasn’t as amazing at eliminating external noises such as the Droid, but still got the job done. I was clearly able to hear the party on the other end and vice versa. I almost always had a decent number of bars throughout the Sacramento and Davis area. Verizon’s network didn’t drop just one call since I had this phone, which was rare in my opinion. I’ve humorously seen the iPhone running on AT&T try and repeatedly fail to make calls from the same areas even though the device reported full signal. I was always able to communicate without issues. I found the ability to call someone by simply starting to type their name while on the home screen a convenient method instead of scrolling through the contact list. There’s a clean list that displays all incoming, outgoing, and missed calls. I also was glad to see that you could delete specific items from the call history, which I can’t do on the iPhone. 3G data reliability was also pretty great, which I’ll get into more details in the Hotspot section. However, if you for some reason can’t fetch a strong signal, you can always opt to use WiFi. The Palm Pre Plus streamed videos impressively well from YouTube. I was a bit dissappoitned to find that VCast wasn’t included on this phone. I truly enjoyed having the Sprint TV streaming service available to enjoy ESPN on the Palm Pixi. Considering the price of a data plan, that should definitely be thrown in. I copied some video podcasts and MP4 movies over the device. Some appeared in the video application, but others with certain codecs didn’t. I was further disappointed to find that some files that played just fine on my iPhone didn’t play past a few frames. The video formats are a bit limited at the time and could sure use some improvements. As for music, things were a lot better. Although iTunes sync support is not reliable since Apple keeps disabling support, programs such as Windows Media Player get the job done. If that doesn’t work for you, simply connecting it as a mass storage device with any machine and dragging files onto the device will work just fine. The phone also supports Bluetooth AD2p stereo profiles for devices such as the Jabra Halo, Altec-Lansing BackBeat, or Nokia BT-905. Speaking of music, Pandora worked quite well with this phone. Especially great since I can let it run in the background unlike with the iPhone. I had it connected to my car’s stereo through an AUX jack. It streamed music impressively well without any major pauses for buffering. While it’s still no iPod when it comes to multimedia, it should be able to replace the need for an additional MP3 player for most consumers. The Pre Plus sports a 3.0 megapixel camera, which is a step up from the 2 megapixel camera on the Pixi, but no match versus other smartphones. The phone once again entirely lacks the ability to record videos. A v1.4 webOS update should become available this month that will enable video recording and editing amongst other new features. Getting back to the camera, it fails to impress. I was disappointed to see how long it took for the camera to start up. Once it was up and running, it was actually fairly responsive and the interface was simple, clean, and easy to use. However, it falls flat in terms of custom settings. I was only able to enable, disable, or set the flash to auto. There are no other special effects, filters, resolution settings, or anything else. Browsing through your library of photos was slow to load. Sliding images to the left or right to get to another one would take a moment to render. However, zoom in and out with the pinch gesture was smooth and quick. I was glad to see that I could email, MMS, or upload photos to Facebook right from the gallery. It’s a neat addition, but it’s unfortunate that the camera isn’t better. The colors were decent at best. Bright objects became easily over exposed. Images that aren’t taken in anything less than a brightly lit area appear grainy. The flash helps with close up head shots in dark settings, but is still not bright enough. Fortunately the turnaround time for snapping each image was fairly quick. But the fact remains, it lacks features even inexpensive or free flip phones have. There’s a lot of work Palm needs to put into this element of the phone. This was by far one of my most favorite features. There’s a pre-installed App for Mobile Hotspot that lets you use Verizon 3G network and share it with up to 5 nearby WiFi enabled devices. The App lets you pick a network name (SSID), set a WPA/WPA2 security passphrase, or even leave it as an open network. I put it to the test with a couple of machines including an Asus netbook, Dell Mini, Apple iPhone, and Dell XPS Laptop. Mostly using a single device at a time, speeds were actually quite impressive. After several tests in Northern California (San Jose, Davis, and Sacramento), we found download speeds averaging around 1.1 MB/s and upload at 0.30 MB/s. I also noticed that even if multiple connected computers weren’t necessarily using data at a given instance, speeds did slow down a bit. Also, if you are using the Pre Plus as a WiFi Hotspot, you definitely should find a source of power as the built in battery will drain quickly. And of course with any neat feature comes a price. 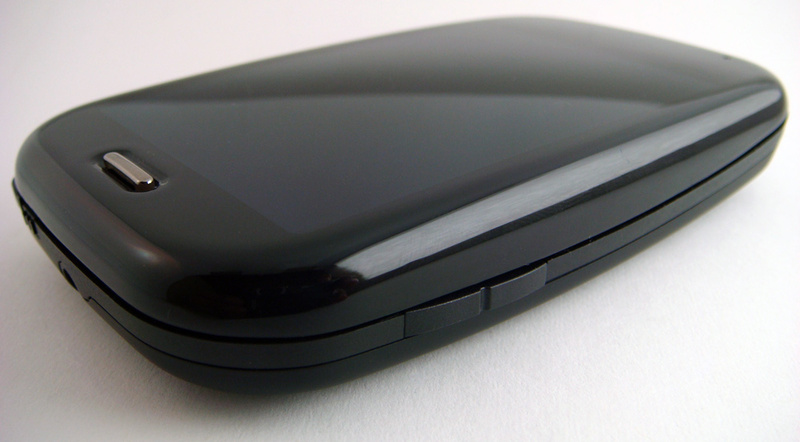 Enabling the Palm Plus for use as a 3G hotspot costs $40/month. That’s the same cost as it is with other smartphones. But the advantage of the Pre Plus, like a MiFi, internet access isn’t just limited to one device. You can take your iPod Touch, Sony PSP, Nintendo DSi, or any WiFi enabled device online easily. Unless you have business/enterprise type needs, definitely go for the Pre Plus. It’s a lot friendlier, more customization, and the UI is easier to use. Ditto Sahas’s comment; I really enjoyed the Storm2, but in terms of a day to day phone (one not for business), I would get the Palm Pre. That one is a bit expensive, but both Energizer and Duracell make variations. I used a Blackberry Bold 9000 for about two years with fairly good results, notwithstanding several software issues (loss of contact data on the BB Bold), and the Bold is quite huge, so I figured I would give ATT’s Palm Pre Plus a try. I’ve had the Plus for only a few days. It’s a beautiful device. It’s obvious that the folks from Palm gave this a significant effort. Beautiful display, and I’m not noticing any computer processer mentioned in the thorough review above; it seems fast to me. My only complaint is that the FONT used for all software pages (i.e., System nd Applications) is very (very) small. Once I figure out a way to INCREASE font size, I’ll love this device. I hope this is possible, but I haven’t found a page to adjust the font – yet. If there is a font-size adjustment, it is not in an obvious location. Otherwise, this is neatest design for a smart phone I’ve ever seen – including the iPhone (if only due to the fact that Palm Pre Plus has a snap-out keyboard); that’s enough of a positive discriminator for me. I do not like soft keyboards. I just bought a Pre Plus (used, thank God)and found out there is no way to increase font size. I’ll have to get rid of it because of that. Too bad………………..